THE HAMADAN RUG - These rugs can be stylistically diverse in pattern and weave. In central Iran, where the wide plains rise sharply into the Zagros Mountains, the regional capital, Hamadan, stands as one of the oldest cities in the world. Some historians believe it dates as far back as 1100 B.C., when Assyrian kings ruled the area, but even at its youngest, Hamadan can trace its roots to the 7th century BC, when Herodotus first wrote it into history. The city is a place of extremes: the dry vast plains and jagged mountains; the surrounding desert and green city; the ancient history and modern life. These contrasts, so visible in the region’s landscape, have long inspired its native arts. 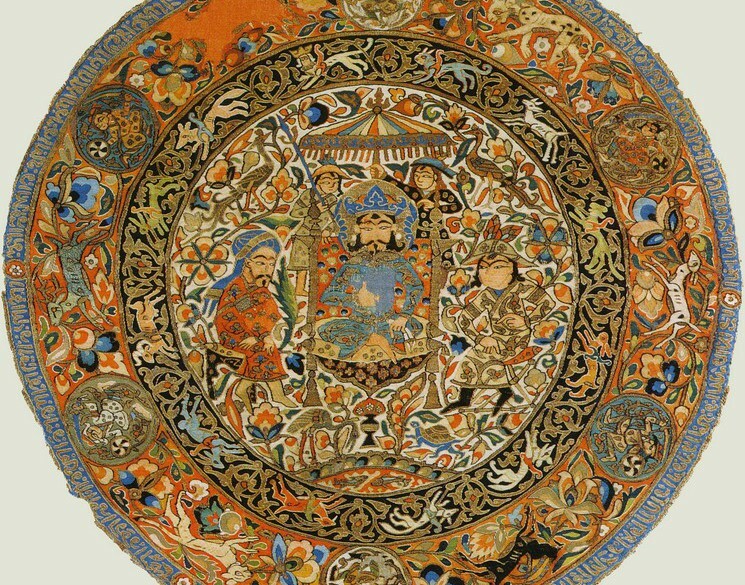 Hamadan, as the name applies to textiles, is in fact something of an umbrella term. It can refer either to the rugs made in the city itself or to those made in any of its estimated 1500 surrounding villages—some extending deep into the provinces. As such, Hamadan rugs can be stylistically diverse, though key characteristics in pattern and weave bind them as an historic and artistic style. Aesthetically, the palette is primary and bold: dark blues contrast with vivid reds to create clear delineations of line and form. Patterns vary, but the most common is perhaps the Herati motif (also known as the “fish” motif for the inner leaves’ resemblance to tiny fish) in which central flowers branch out in intricate geometric flourish across the entire carpet field. Perhaps the most distinguishing feature of the Hamadan carpet is not in the pattern, but in the weave. Unique among Persian rugs, Hamadan carpets employ a technique known as the “single weft” weaving. 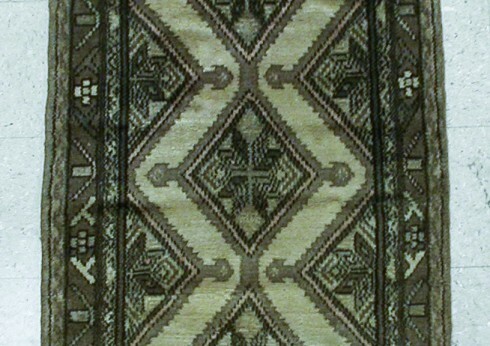 Here, each row of knots is separated by one row of weft, thus exposing alternating rows of the carpet’s warp. What emerges is a distinct design in which warp threads are incorporated as visible elements in the carpet’s pattern. Tied with double (or Turkish) knots for strength, these are tough rugs where the wefts instead of warps form the carpets’ rigid backbones. Hamadan has grown into a major Iranian city where the art of rug-making continues to evolve. Today, the old exists beside the new, and the ancient weaving tradition has become a vital and growing part of the region’s modern economy. The numbers are extraordinary. There are an estimated 70,000 traditional rug weavers working in Hamadan, many in the sort of small scale-shops where rugs have been made for hundreds of years. In fact, there are nearly 30,000 in-house workshops operating in the Hamadan area, where local craftsmen produce the region’s famous rugs for an ever-growing international market. Besides that, an additional 14,000 people work in the Hamadan region in related sectors such as wool spinning and dyeing. As Hamadan grows into an ever larger center of artisan, high quality rug-making, one must in some respects distinguish between the antique and the contemporary rugs that bear the city’s name. The most significant difference is in materials. Prior to WWI, Hamadan rugs were typically woven on a thick wool warp, while carpets produced after the war are typically woven on a heavy cotton warp. However, in the key elements of design that distinguish the form—pattern and weave—contemporary Hamadan rugs carry on, unbroken, the ancient tradition of which they are a part.